Julia graduated from Converse College at age 16 and secured a master’s degree a year later. She took a job teaching in the small community of Fort Motte, SC, about 40 miles south of Columbia. It was there that she met her future husband William Peterkin. William Peterkin was the heir to the Lang Syne Plantation, which had once belonged to Langdon Cheves, a former Congressman who had served as Speaker of the US House of Representatives and president of the Bank of the United States, and had declined appointments to the US Supreme Court and US Senate. 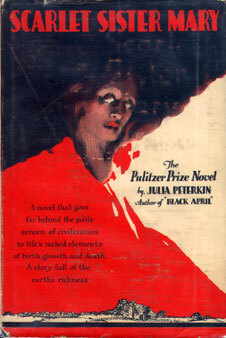 Scarlet Sister Mary, for which Julia Peterkin was awarded the Pulitzer Prize for fiction in 1929. Peterkin, married at 23, initially found herself out of place on the 1,500-acre cotton plantation. The estate had 500 field hands and servants, many of whom spoke Gullah – a Creole language spoken by ex-slaves and other Lowcountry blacks – believed in black magic and labored under conditions little changed from those that had existed in 1865. Peterkin would settle arguments, help those in trouble with the law and give gifts of money, clothing and furniture. In return, the blacks would, essentially, treat her like a queen. From these experiences came her works: Green Thursday: Stories, published in 1924; Black April, 1927; Scarlet Sister Mary, 1928; Bright Skin, 1932; Roll, Jordan, Roll, 1933; and Plantation Christmas, 1934. 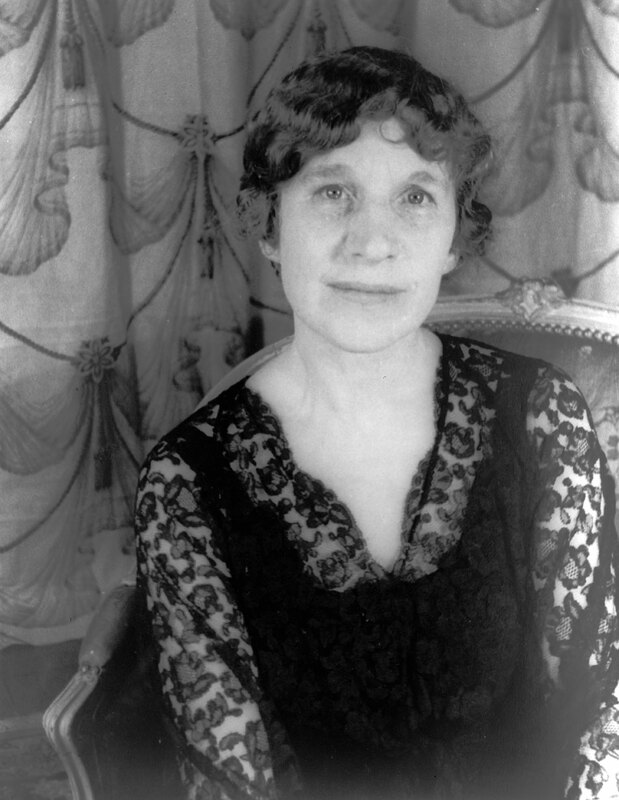 Scarlet Sister Mary captured the Pulitzer Prize for fiction in 1929. The work is set in the Waccamaw Neck region of South Carolina, near Murrells Inlet, back before expensive beach houses dotted the Sea Islands that run from Carolinas down to Georgia, and the area where many Gullah lived. Peterkin didn’t start writing until age 40, but she possessed an amazing ability to convey detail, both in describing surroundings and in conveying conversation. In Scarlet Sister Mary, the main character, Sister Mary, compares the house she is leaving to the one she will move into after she marries her fiancé, named July, crafting a spot-on illustration of ramshackle slave cabins, two generations after the end of slavery. … this old tottering house was like a dear friend. She loved every board in its weatherbeaten sides, every shingle in its warped roof, every rusty nail that held it together. The house where she and July would live at the other end of the Quarter street was exactly like it, for it was built at the same time, by the same people and by the same pattern. Its roof was warped too, its rotted shingles were edged with small green ferns, the wide-mouthed chimney rising out of its ridge-pole took up a third of the inside wall in the same way. It was an old unpainted wooden cabin sitting low on the earth, heavy with years, yet able and strong in the beam and joists and rafters and sides, for it was built in the days when men took time to choose timbers carefully and to lay them together with skill. Like this old house, it had held many generations. Red birth, black death, hate, sorrow and love had all dwelt inside it, sheltered by its roof, shielded by its walls. Peterkin used narrative to portray scenes with vivid imagery. 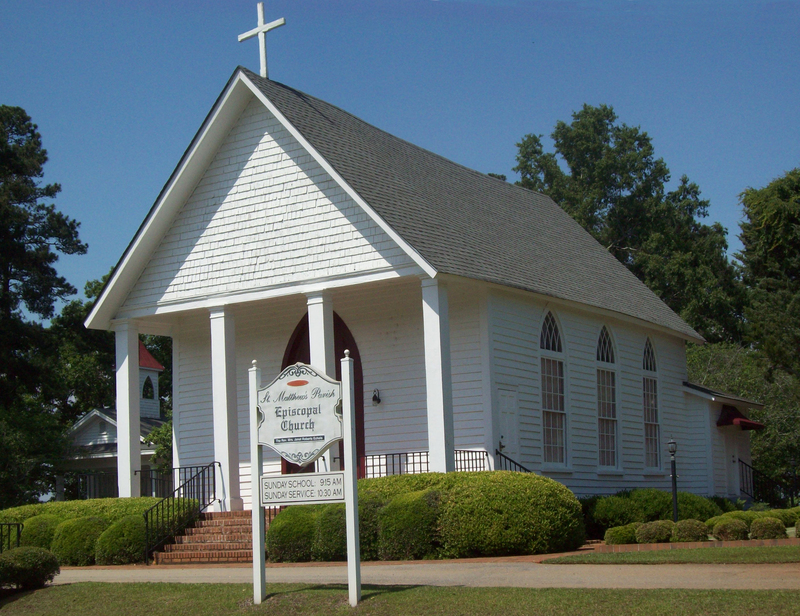 St. Matthews Parish Episcopal Church, in Fort Motte, SC, across the road from where Julia Peterkin is buried. In one passage from Scarlet Sister Mary, Sister Mary is talking Deacon Andrew, whom she has gone to see about having a pair of crutches made for one of her children. Conversely, Doll keeps a tight leash on Andrew. While not a man given to vice, Andrew is kept in the house from sundown to sunrise by his wife, he explains to Sister Mary. Doll could sleep from the first dark until sunrise, but if he went to bed early he couldn’t sleep until daybreak to save his life. He twisted and turned like a worm in hot ashes and his bones pure hurt from lying in bed so long. Sometimes he walked out at night and visited with the neighbors, but here lately Doll began stick out her mouth and complaining about being lonesome. Last night she got so vexed she wouldn’t talk to him at all. She just swelled up like toad-fish and sat and looked at the fire without cracking her teeth. Peterkin not only had a gift for prose, but a wonderful ear for picking up the words and phrases of the blacks who worked on her plantation, writing in the vernacular of Gullah blacks without devolving into caricature. Peterkin’s ability to portray the Gullah accurately is at least partly the result of having been reared by a Gullah-speaking nurse after the death of her mother, according to Charles Joyner in The Encyclopedia of Southern Culture. “I learned to speak Gullah before I learned to speak English,” she once said. She not only brought the Gullah to a wide audience but was noted for being among the first white writers to portray blacks with virtues and vices common to all people. Sadly, Peterkin’s literary success likely outshone those of her personal life. In the spring of 1904, Peterkin’s father, a physician, delivered her son, then promptly sterilized her – with her husband’s consent, according to Elizabeth Robeson in Life out of Darkness: The Recovery of Julia Peterkin, Forgotten Pulitzer Prize Winner. She rarely wrote about whites in her works, preferring instead to concentrate on the Gullah people, to her family’s dismay. Her son, she once noted, had urged her to write about “beautiful white men and women, not niggers,” according to Robeson. Her marriage apparently lost its fire relatively quickly, as Julia had little in common with her husband, who was noted for his contributions to plant breeding. When he died in 1938, his obituary merely stated that he was “survived by his widow, the former Julia Mood.” No reference was made to her books or Pulitzer Prize, even though she’d been awarded the latter less than a decade earlier. She died in 1961, at age 80, largely overlooked for her contributions to Southern and US literature. Today, approximately 90 years after her first book appeared, Julia Peterkin’s works offer an intriguing insight into the life of Gullah blacks in pre-industrial coastal South Carolina. It’s not only a glimpse into a long-ago era, but good reading, as well. Absolutely fascinating. I had to go back and re-read the passage about the sterilization. Good heavens. There was a doctor here in town, now deceased maybe ten years, who was a child in Charleston. He too spoke Gullah before English and even wrote a book compiling many of the phrases, his wife told me. I wonder where that book could be now. I feel such sadness for women like Julia who were so often trapped by the age in which they lived into never reaching their full potential. Thank you so much for the introduction. The good old days weren’t good for a whole lot of folks: minorities, women, poor whites, pretty much everybody but a select few who pulled the strings of society. That said, to be sterilized by your own father with the consent of your husband, apparently without your own consent, is a hard-to-fathom experience. I have a Gullah bible and it’s surprising how much of it I can understand. On the other hand, not long ago I was down south of Charleston and tried to ask directions from an elderly man who spoke Gullah and had a world of trouble understanding what he was saying. I had a book once called something like “The Good Old Days Weren’t All That Good” in which the author detailed all the ways life was a misery by modern standards. I mean, seriously, just doing the laundry was an ordeal. Never mind if you got sick. I think it was Woody Allen (?) who when asked what era he would like to visit via time travel replied anytime after the invention of Novocaine. I agree. Yes, anytime I think about living in the past I ponder the wonders of modern dentistry and indoor plumbing. I had never heard of this lady….but will now be trying to find her books. Thanks for a super post with its insight into a different world. And no…I’ve never wanted to go back in time…I’ve heard enough tales of doing the laundry from the elderly countrywomen who were my first friends in France. I love the romance of the past, but always remind myself that hindsight isn’t a very accurate portrayal of the way things were. Your example of spending a good part of the day washing clothes by hand is by itself enough to put someone with any common sense off wanting to live without modern conveniences. Not to mention the fact that something like one out of every two or three children didn’t survive to adulthood. I suppose Peterkin’s works can be found online, but I was astounded by how difficult it was to find her books in local libraries, just 40 miles from where she lived and wrote. Very interesting. You have a certain gift. Thanks for sharing it. Thank you, Bruce. I appreciate your kind words.